﻿﻿﻿﻿Exceptional late 17th century Louis XIV period armoire handcrafted of solid walnut by skilled artisans near the historic seaside resort of La Baule in the Pays de la Loire region. The stepped cornice sits atop a carved frieze with center galette above raised and recessed paneled doors with beautifully carved rocaille, c-scrolls, floral and foliate motifs that open to reveal two interior shelves, raised on flat bun feet. 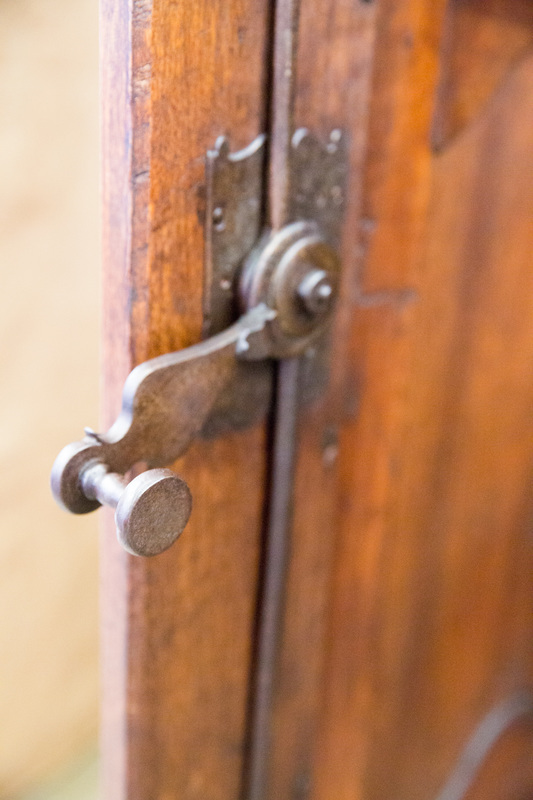 Original hardware and three paneled sides complete the look. 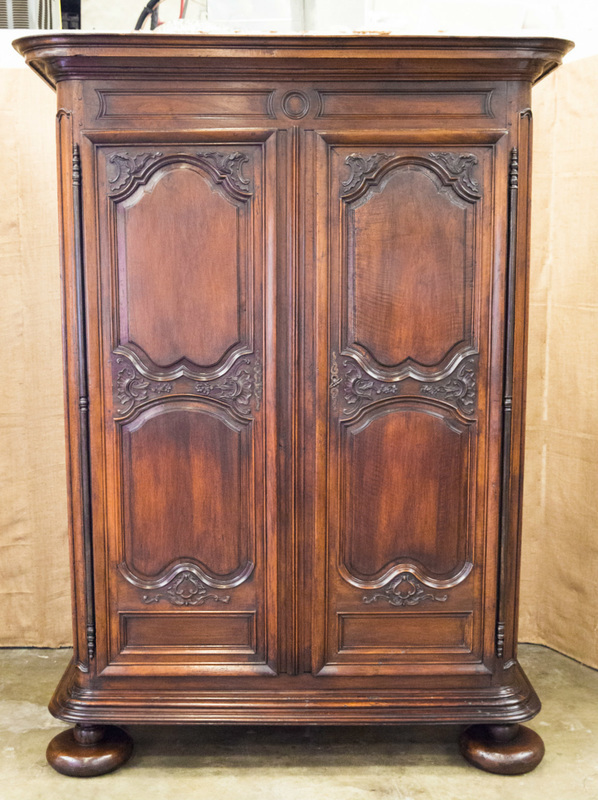 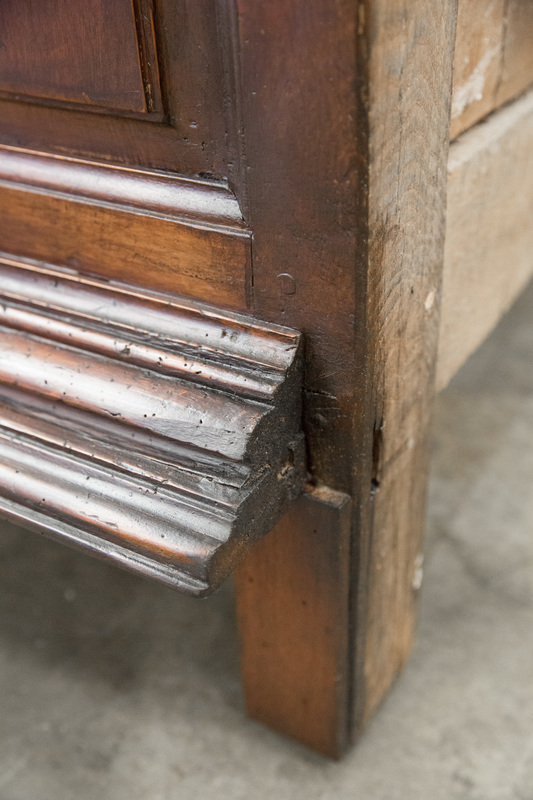 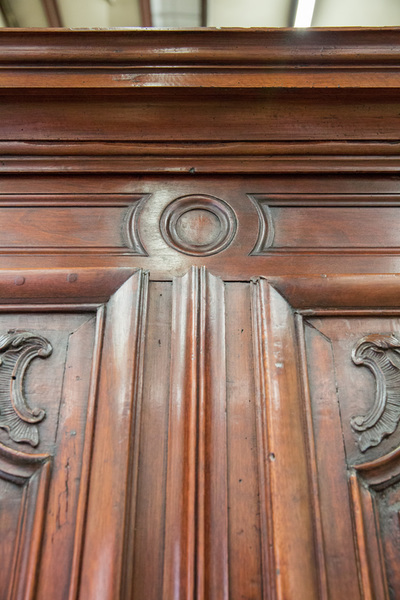 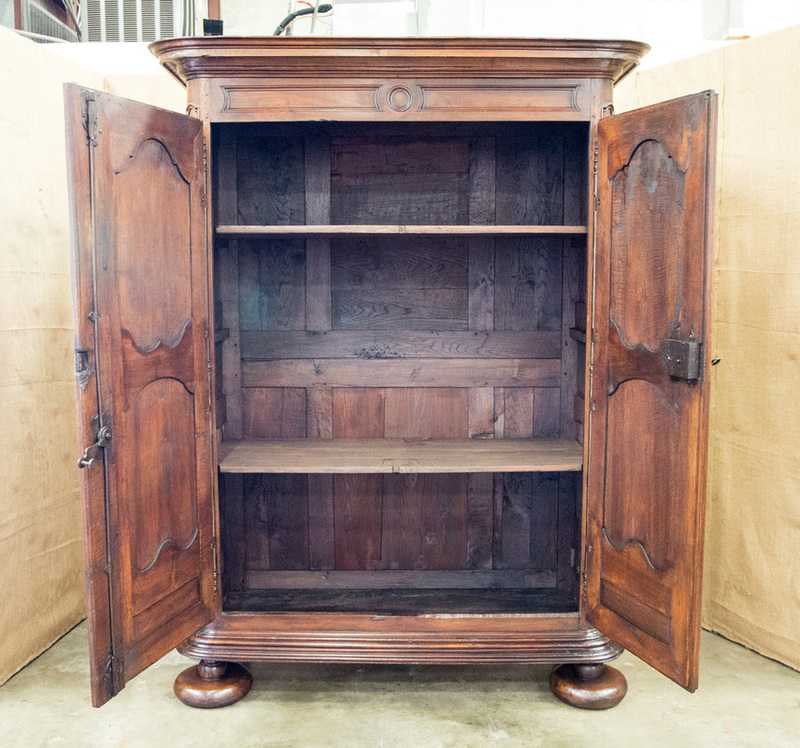 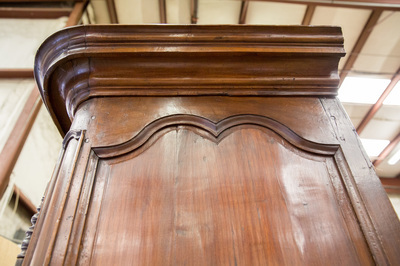 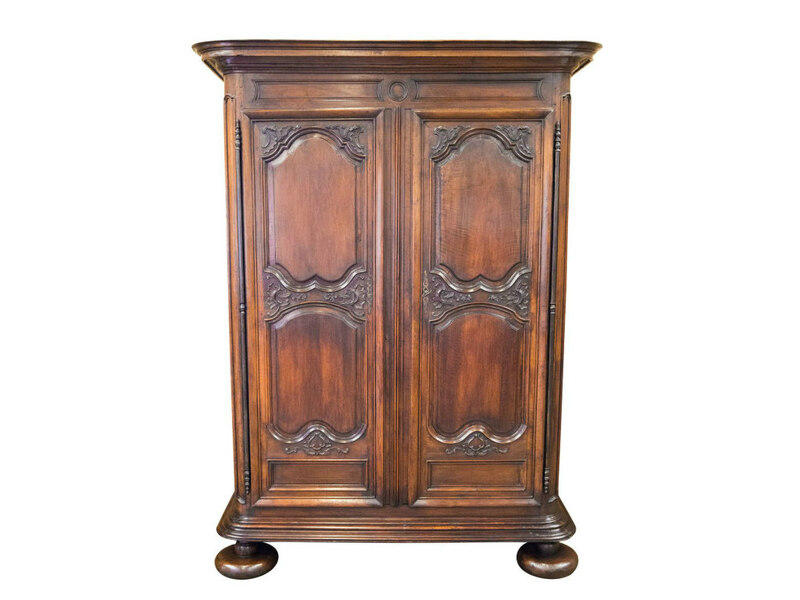 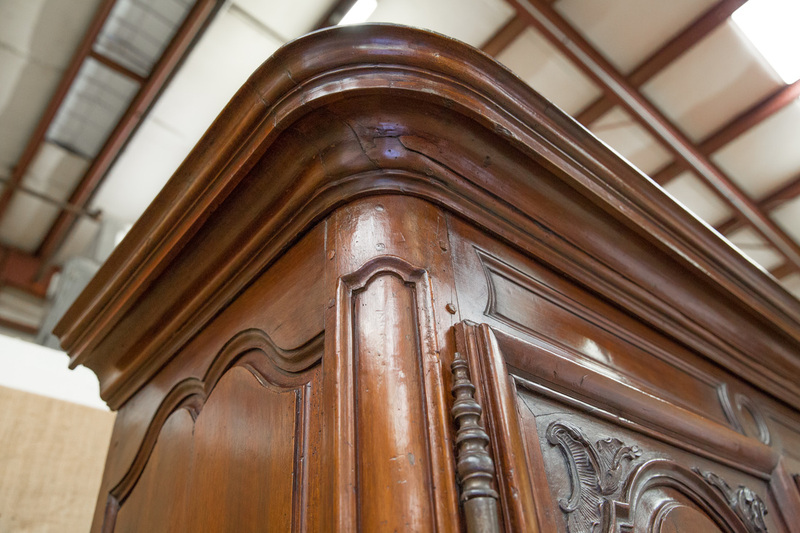 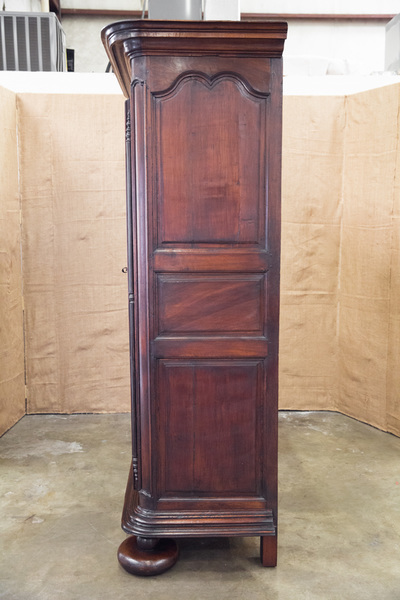 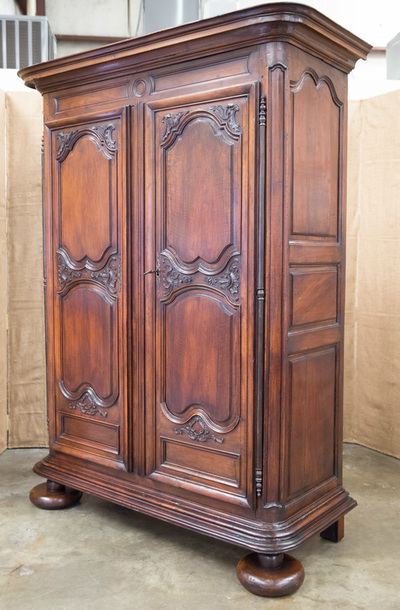 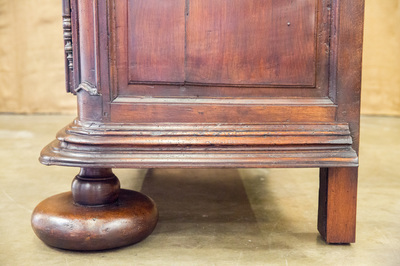 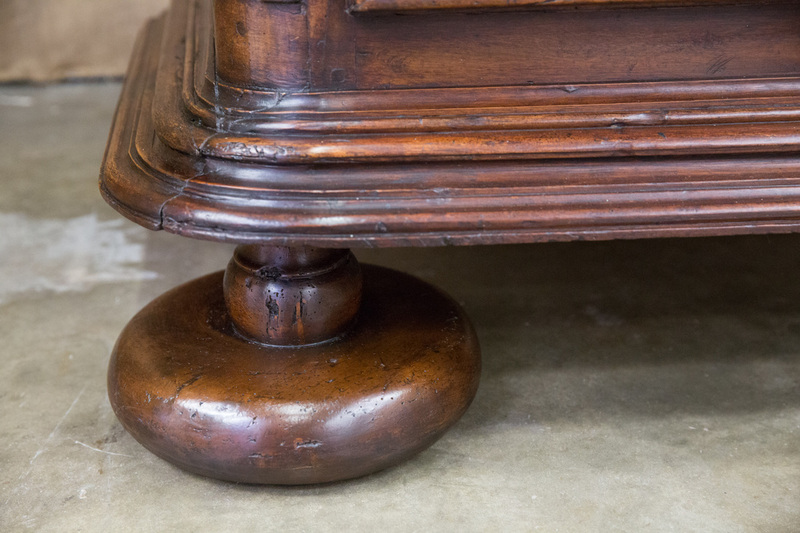 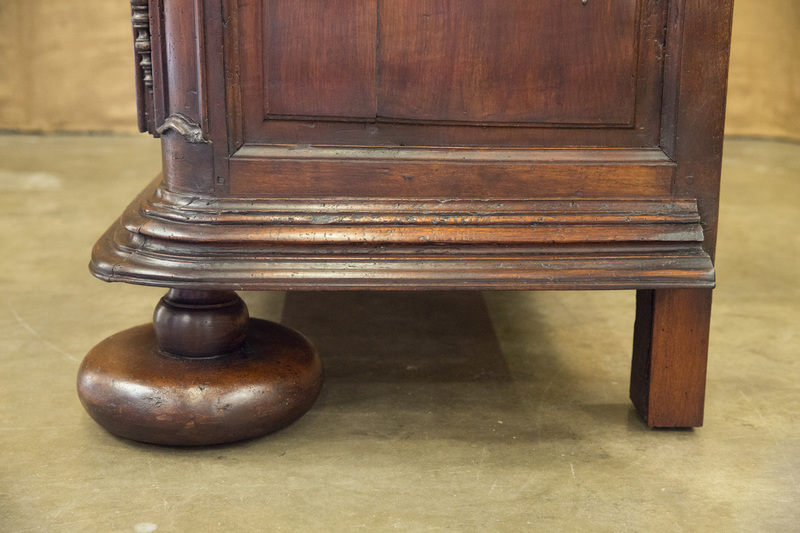 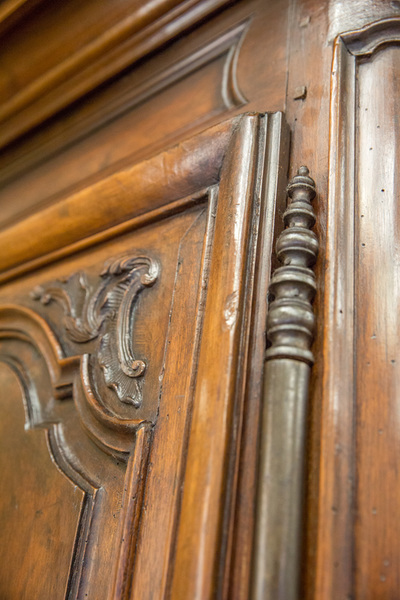 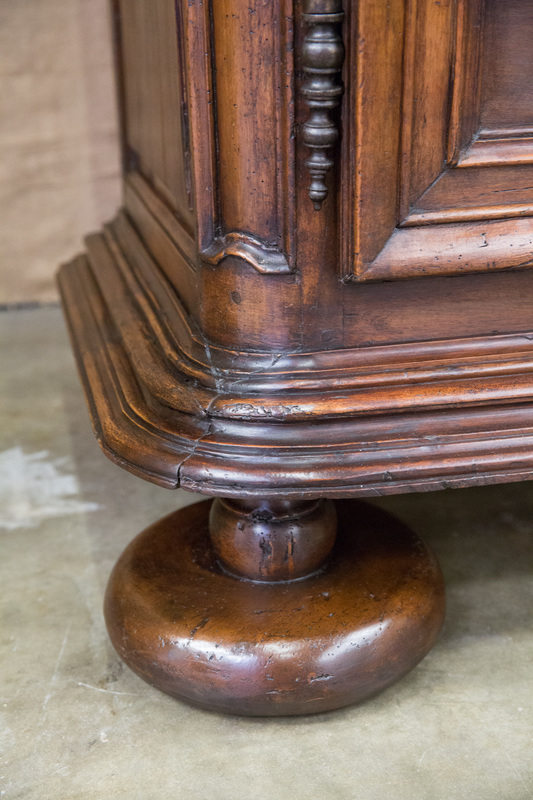 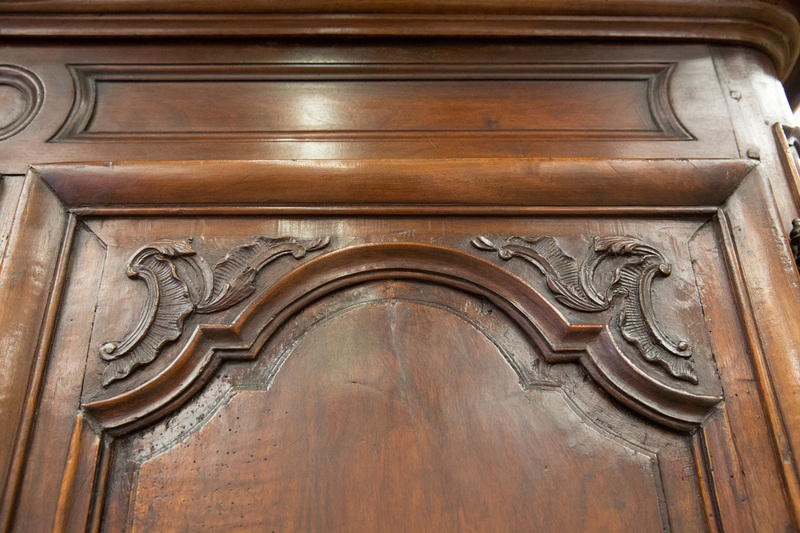 This impressive French armoire boasts a beautiful patina and has stood the test of time. 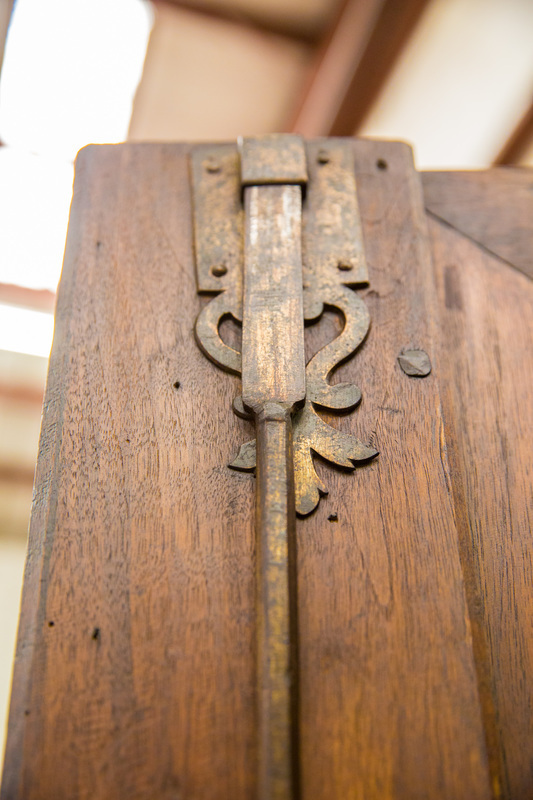 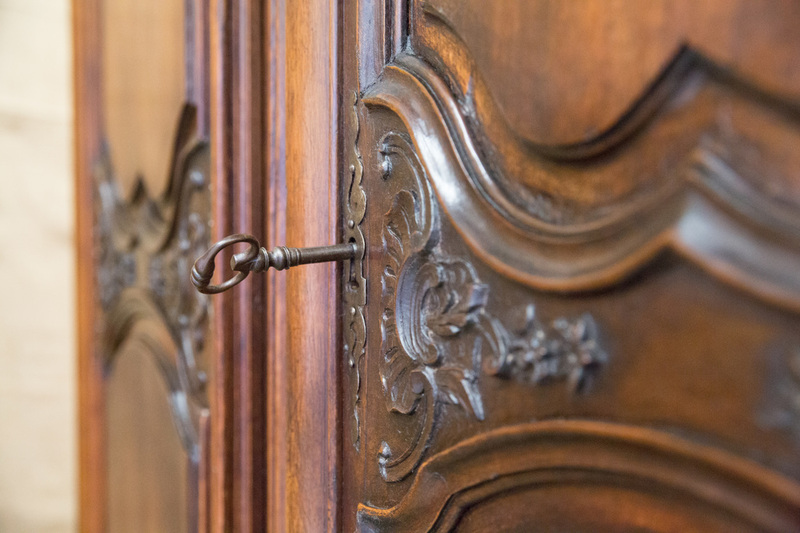 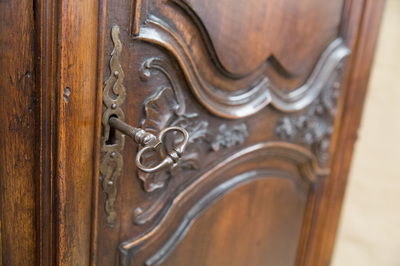 One of the most significant features of fine Provincial armoires are the locks and hinges. 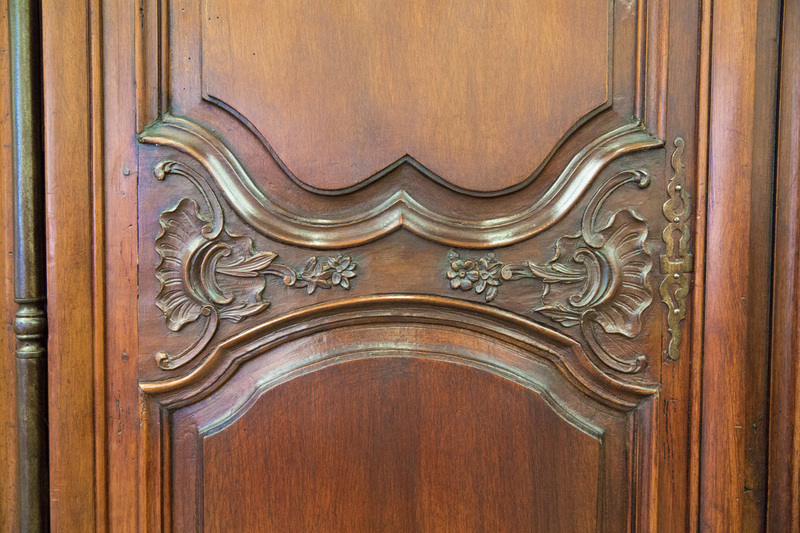 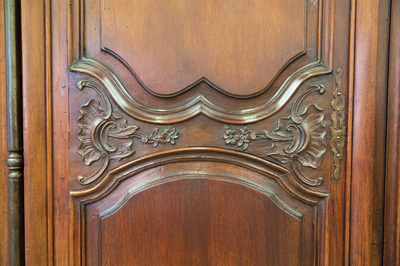 Long ornate hinges, as seen on this armoire, were an integral part of the overall design of the armoire. Often, the hinges, lock and key cost more to produce than the armoire itself. French kings and their courts often spent their summers in castles in the region and furniture was greatly influenced by the style of the Parisian court. 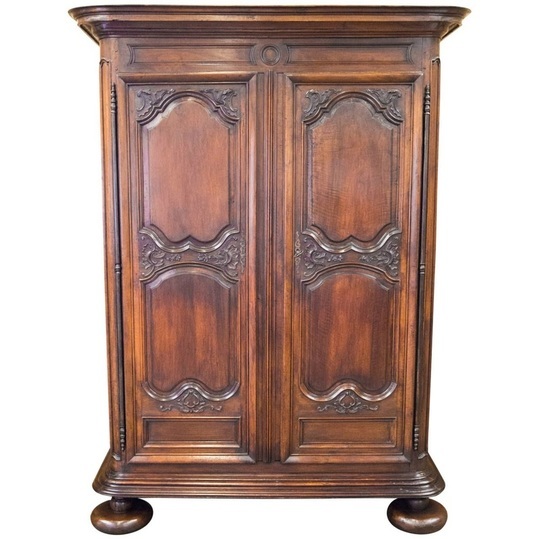 Armoires from the Pays de la Loire region are elegant with a minimal use of ornamentation. 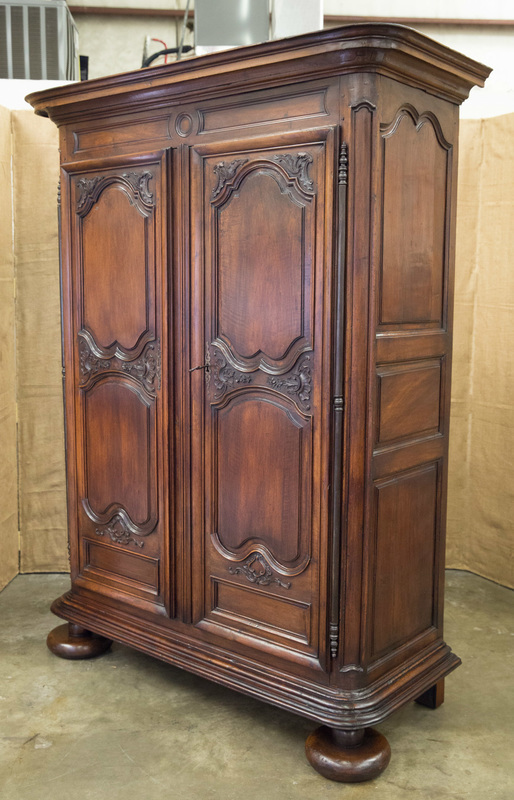 w - 70" with crown; body w - 60"